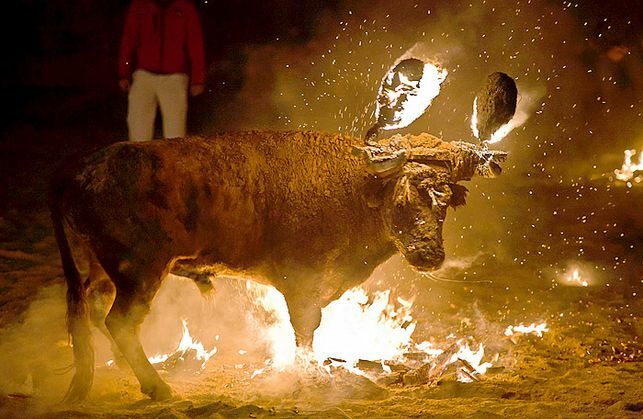 “Burning bull”: the resurrection of the middle ages! Heinous ignorant sick cruelty. Shame on such humans.